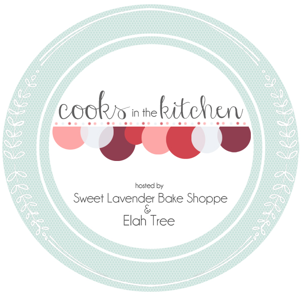 Welcome to our second to last month of Elah Tree and my Cooks in the Kitchen Challenge! 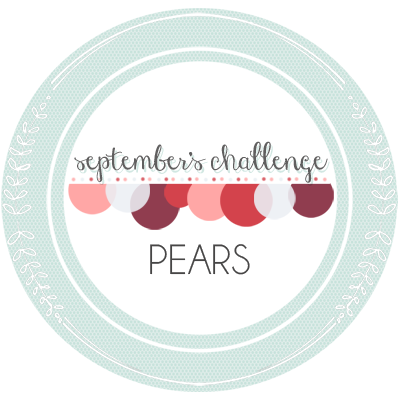 Yep, you read right- after today's link-up, there is only 1 more link-up left! And friend, you just have to make sure to join us for our final challenge because we have something really special planned. Bwahahahahaha. So if you've been putting off joining the fun, now is certainly the time! 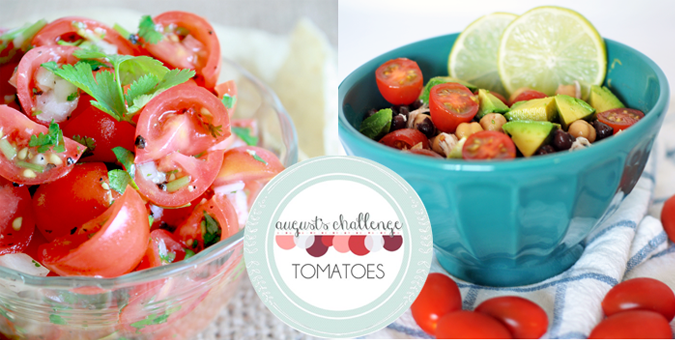 This month's ingredient was one of my favorite things in all the land- TOMATOES! I love tomatoes like you wouldn't believe. And, being preggie- it has been a pretty consistent craving! I just love the freshness, the slightly sweet quality, the juicy and tart flavors, and the simplicity of a tomato. I literally eat them like apples! All I need is a good Roma or cherry tomato and a few sprinklings of sea salt. Holy cow, yum. Oh! While we're on the topic- did you know you're NOT supposed to store tomatoes in the fridge?! I bet you didn't! Nope, fresh tomatoes should be bought from the store (notice they're not in the fridge section there either) and stored at room temperature until you're ready to use. Store for up to 4 or 5 days. If stored in the refrigerator the texture can molecularly change and they can become mealy. Blech. I don't know about you, but there's nothing worse than a mealy tomato. If you buy a nice firm, bright tomato, store room temp and eat within that 4-5 day period, you should always have a great snack! I just love that Samantha and I both made a salsa-like dish. I think it's because we both live in Southern California and right now guys, it's friggin hot. I couldn't see myself baking or cooking anything this time around and I think she was on the same boat. Hehe. Even though we both did similar dishes, they are both unique and totally different from one another. That's just the beauty of experimenting with ingredients, folks. 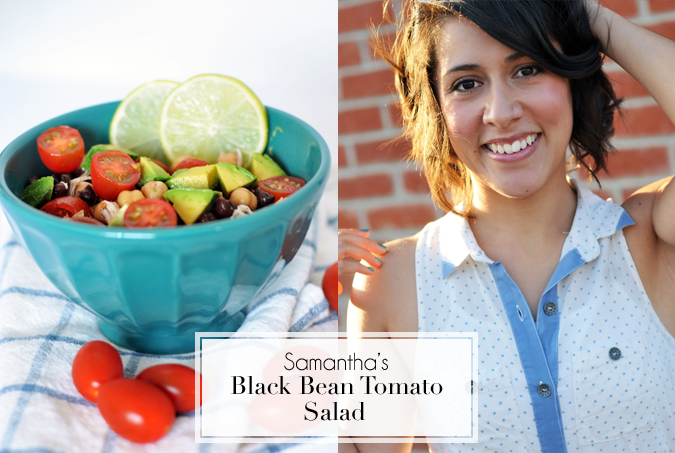 You can find Samantha's recipe here! I make this recipe a LOT. Because right now there's only two of us, I decided to concoct a recipe that was perfect for two and super easy to make. I usually prepare one batch of this and we snack on it until it's gone. Which to be honest, is within 10-15 minutes. MmMmm. We love salsa! It's a good-for-you snack though- packed to the brim with vitamins and all sorts of healthy stuff! So snack on and snack happily. 1. Cut cherry or grape tomatoes into quarters and add to a non-reactive bowl. Next, add your small diced onion and garlic. For this recipe I used about 1/2 of a small onion. I sliced the half in half horizontally, then made downward cuts along the whole thing, then cut down again perpendicular to create an even dice. 2. 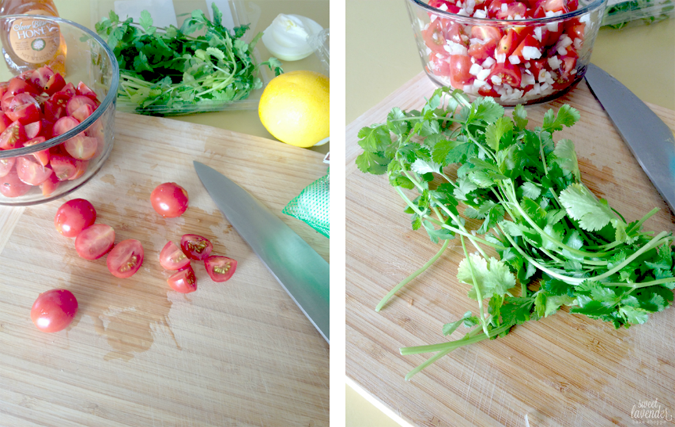 Next remove leaves from cilantro and roughly cut up. For this recipe, you will need 1/4 cup. 3. 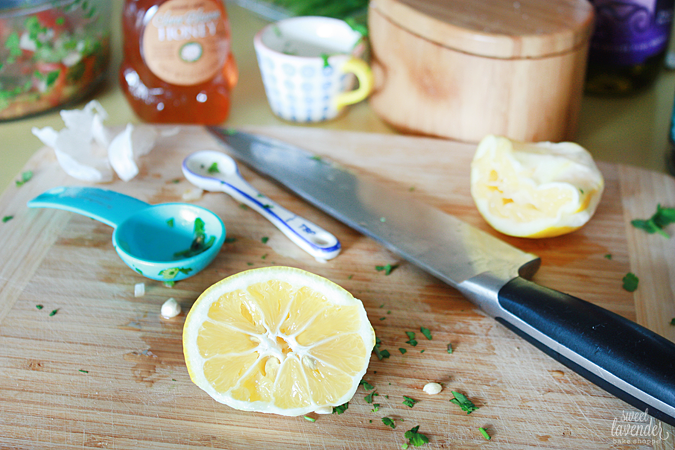 Lastly, add your lemon juice, olive oil, salt and pepper, honey, and if using- jalapeño or hot sauce. Mix together well and cover with a tight fitting lid or plastic wrap. Allow to sit at room temperature, stirring every so often, for an hour before serving. This allows all the flavors to marry and juices to come out. So darn fresh and so darn good. 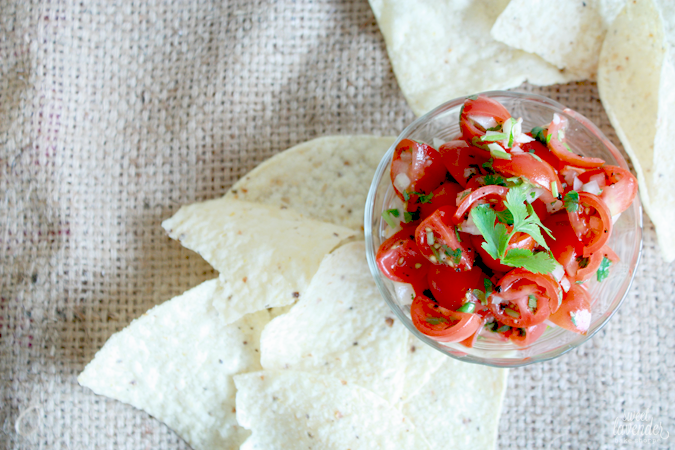 This salsa is fantastic served with salty tortilla chips or spooned over grilled chicken or fish! If you haven't heard, right now if you use code OHBABY upon purchasing an ad spot, you will receive 25% off! Hurry! This discount is good only through the end of the month! This looks so amazing! I love how fresh and delicious it looks! I totally want to make this! That salsa looks amazing! Yum. I think I may be salivating. I love how many salsa type things were made! I guess it to ally makes sense with it being summer time! I love salsa so much too! Pinning them for later! Yours looked DELICIOUS! Hehehe. So hope you're able to make soon! 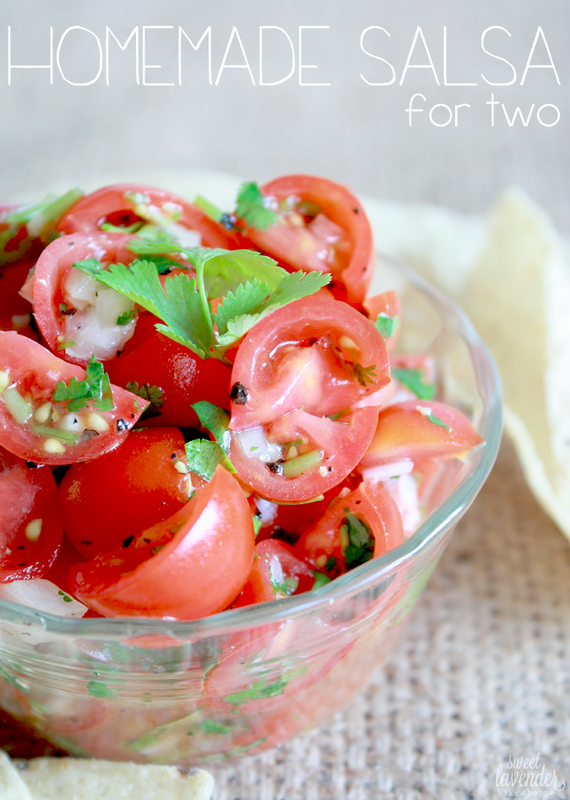 I am going to have to try to make this with the tomatoes and onions from my garden! Came over from Jack of All Trades. From your garden!? GASP! That's going to be incredible!!!! Can't wait to try this recipe. I had no idea that tomatoes shouldn't be stored in the refrigerator... Oops.